A consulting engineer is sought for the development of a 24 MW hydropower plant in Togo. The Togolese Rural Electrification and Renewable Energy Agency (Agence Togolaise d’Electrification Rurale et des Energies Renouvelables – AT2ER) seeks expressions of interest by 22 October for the services of a consulting engineer to assist with the development of a 24 MW hydropower plant in the region of Kara in northern Togo. The plant is being developed by AT2ER as part of a rural electrification project in the region of Sarakawa in the north of the West African country and for which AT2ER has sought financing from France’s development bank, Agence Française de Développement (AFD), the European Investment Bank and the European Union. The contract is to be undertaken in two phases, the second being conditional on the securing of financing. 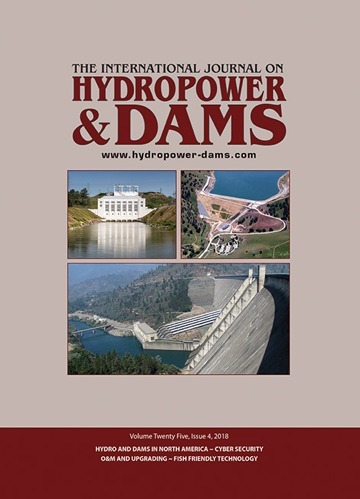 The first phase of the contract, which is expected to take 12 months, will entail the completion of the hydroelectric project’s preliminary design including: hydrological studies; the realization of a LIDAR; analysis of different technical variants (including the possibility of coupling the plant with a floating photovoltaic component); preparation of the bidding documents for the recruitment of a contractor to develop the project on the basis of an engineering procurement construction (EPC) type contract; support AT2ER during the selection process and the negotiation of the contract; and, the completion of the preliminary draft of the rural electrification component of the project. Phase 2, which is expected to last 48 months, will entail: development of the detailed design and CAD for the recruitment of the company in charge of the rural electrification works; development of the bidding documents for the recruitment of the operator of the plant on the basis of an operation and maintenance (O&M) contract; support AT2ER during the selection process of the O&M operator and the rural electrification company and the negotiation of contracts; supervision of plant construction and rural electrification works; monitoring of the guarantee period of the installations and their final acceptance; and, communication on the project in collaboration with AT2ER and the communication agency that will be recruited. The total duration of the consultant’s services is estimated at 60 months, including the guarantee period. The start of services is expected in March 2019. AT2ER will draw up a shortlist of up to six candidates, pre-selected on the basis of the applications received, to whom they will send the Request for Proposals for the required services. The criteria for eligibility for AFD financing are specified in Article 1.3 of the “Guidelines for the Procurement of Contracts Funded by AFD in Foreign States”, available online on the AFD website: www.afd.fr. Interested consultants must provide information and references demonstrating that they are qualified and experienced to perform these services including technical expertise related to the design, preparation and technical supervision of EPC contracts for similar hydropower projects (> 10MW), technical expertise related to medium and low voltage grid extension projects and, experience of recent and similar service in Sub-Saharan Africa. The client will also examine the skills and internal availability of technical support provided to experts located in the country, correspondents/local partners and quality assurance procedures and certifications of the consultant such as ISO 9001 or environmental and social certification. Expressions of interest must be submitted in French, including one original and three copies no later than 9:00 hr local time on 22 October to the Direction Générale de l’Agence Togolaise d’Electrification Rurale et des Energies Renouvelables, Tokoin Gbonvié, close to the ATBEF, 14 BP 128 Lomé, Togo. For further information, contact: Tel: +228 22 21 21 44/+228 22 21 21 66; Email: at2ertogo@gmail.com. 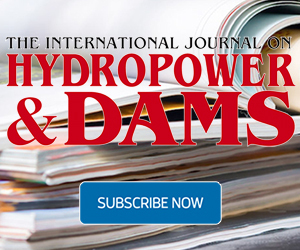 The European Bank for Reconstruction and Development (EBRD) is considering the provision of debt financing to Turkey’s Anadolu Group towards the cost of the development and construction of the 51 MW Kheledula 3 hydropower project in northwestern Georgia. Scottish regional authority the Highland Council seeks to appoint an experienced principal contractor to undertake the design and construction of the River Ness hydropower generation scheme. Bids are requested by 22 October.